Event Schedule Travel & Lodging Register Now! North America's premier Summer field trials. Limited space. Sign up in the Ball Café. Tours last approximately 1 hour. To make this the best Customer Day ever, please RSVP now. 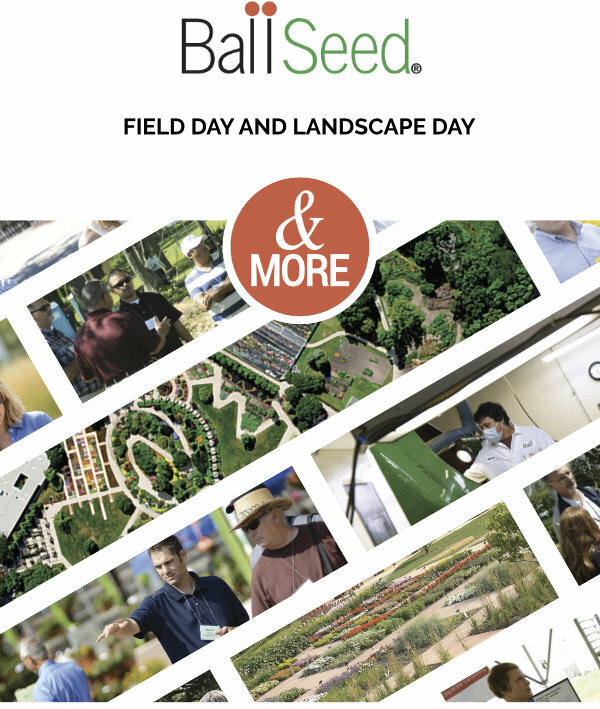 Ball Seed Field Day & Landscape Day • July 26, 2019 • 8:00 A.M. - 3:00 P.M.